Attend Monster Jam in Tampa, Florida. My Neurotic Disney Kid(NDK), who is all princess and fun, has been into Hot Wheels lately. Her older brother recently bestowed upon her his collection from when he was little, so the whole car thing is new and interesting to her. When I mentioned attending Monster Jam, her first impression was, “Why would we go to this? It sounds dirty.” Seriously. I really thought she would have been on board from the beginning. We looked up a few videos from previous shows, and she was curious. We decided to attend and have some fun. The Florida weather had been great, until the morning of the show. This was a stadium show, so completely outdoors. The day was cloudy and cold. We packed up our warmest jackets, scarves, gloves and blankets and headed out to brave the cold for this new experience! As an outdoors show, this is a con to the event – it goes on rain or shine. Lucky for us, it did not rain. Because of the weather, we elected to skip the Pit Party. The trucks participate in different competitions, and the audience gets to participate in the judging! With your smartphone, you go to the judging site and cast your vote for each individual truck. This interactive experience really adds to the excitement of the show. We were so excited when the truck we thought should win, won! Overall, we had a great time at the show! It was NDK’s first ever stadium event. There is something special about stadium events. The enthusiasm from the crowd always adds to the fun. Monster Jam is, without a doubt, a family-friendly show for all ages. The announcers for the show keep the action alive with commentary, talking to drivers and local sponsors. It was neat to watch the bulldozers set up different courses and help trucks right-side up, almost like a ‘behind-the-scenes’ moment. NDK was also really excited to see so many women drivers! Girl power was represented in the bright colored trucks. It was fun to see a hot-pink truck in the mix of the others. My personal favorite was the Black Pearl (see what I did there? Gotta look for something Disney-ish wherever I go! ), with Scooby-Doo a close second. Who couldn’t be a fan of a truck that looked exactly like everyone’s favorite great dane! 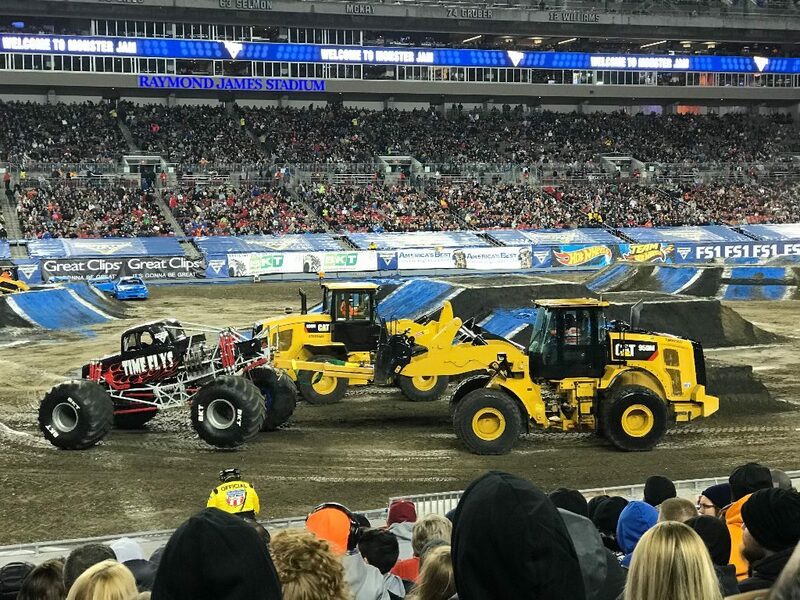 There are a few things to consider when attending Monster Jam. Because this was a stadium event, there were no over-powering fumes (you did smell them as trucks drove by, but nothing lingering), and noise was loud, but not deafening. If this event had been indoors, I feel that ear protection would be a necessity. These trucks are LOUD. 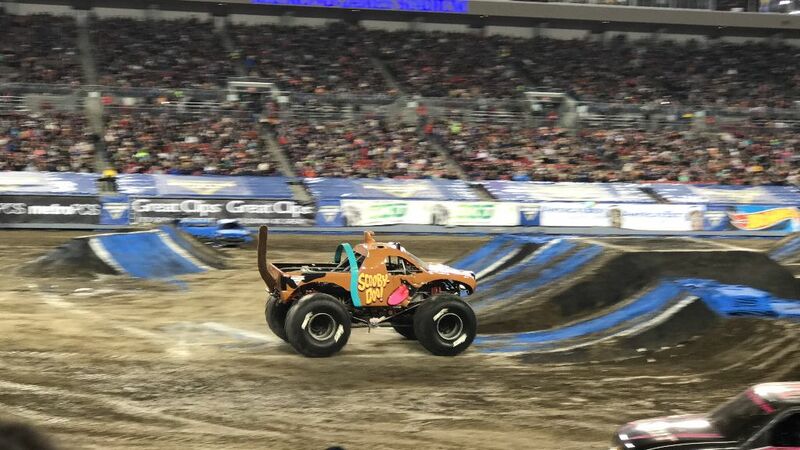 We are definitely looking forward to seeing Monster Jam again, and attending the Pit Party, because now NDK wants her pictures with the Scooby-Doo and Hot Wheels trucks. Orlando, your chance to see Monster Jam is THIS WEEKEND! Tickets are still available for the Saturday, January 20th event at Camping World Stadium. And the Pit Passes are available, too! Be sure to get in on all of the fun. Click here for all of the information regarding the Orlando show and how you can see a few of the trucks before the show this weekend! **Pro Tip: be sure to leave PLENTY of time to get to the stadium and figure parking out before you go. If you have never attended a stadium event, be sure to check out stadium rules and regulations (Camping World Policies & Regulations). What does the Pit Pass include? The Monster Jam Pit Party, which will take place on Saturday, January 20, from 2:30 PM – 5:30 PM, provides unprecedented access to the Monster Jam trucks and drivers. This unique experience in the world of motorsports gives fans access to see the trucks up close, take pictures, meet the drivers and get their autographs. New in 2018, the Pit Party Early Access Pass is available to every fan who purchases a ticket to the event. The pass provides early entry into the Pit Party from 1:30 PM – 2:30 PM and serves as the regular Pit Party pass from 2:30 PM – 5:30 PM. Monster Jam drivers will depart from the Pit Party at 5 PM. The Pit Party Early Access Pass must be accompanied by an event ticket, and quantities are limited. 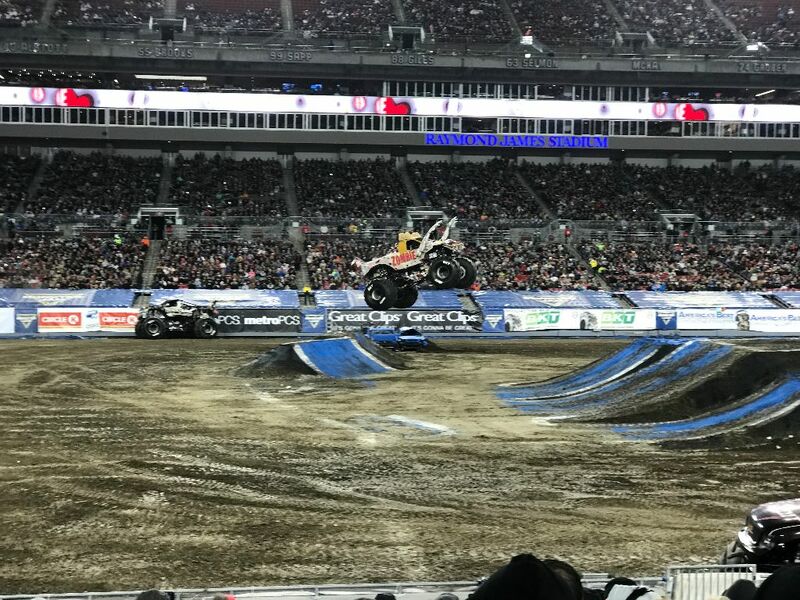 What can we expect to see at Monster Jam Orlando? How can we attend Monster Jam in Orlando? How do we attend Monster Jam in another location? Disclosure: I received tickets to attend Monster Jam in order to facilitate this review. No other compensation was received. All opinions are my own. #Orlando: Monster Jam® Triple Threat Series Coming to AMWAY! *DISCOUNT CODE! 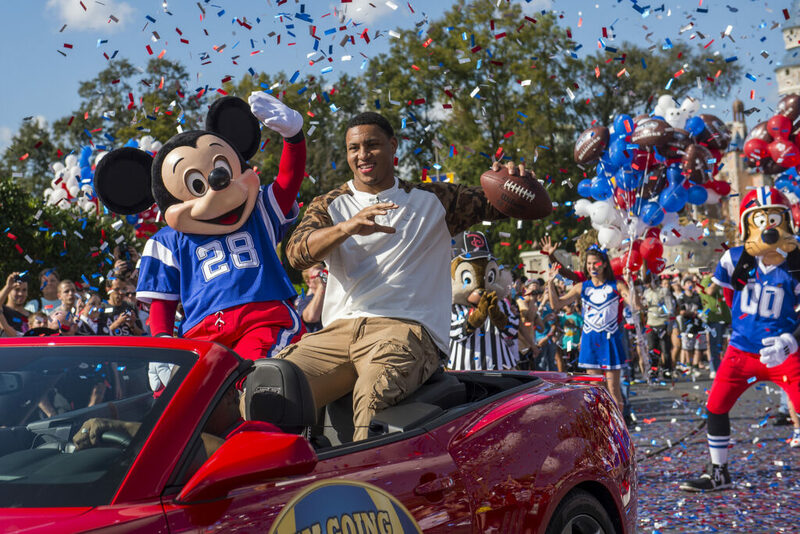 * ORLANDO: Monster Jam® Trucks On Display Next Week **FREE** Monster Jam® Triple Threat Series Rolls into Orlando for Very First Time 2019 Monster Jam® Tickets On Sale Jurassic World Live Tour is Coming to #Orlando!